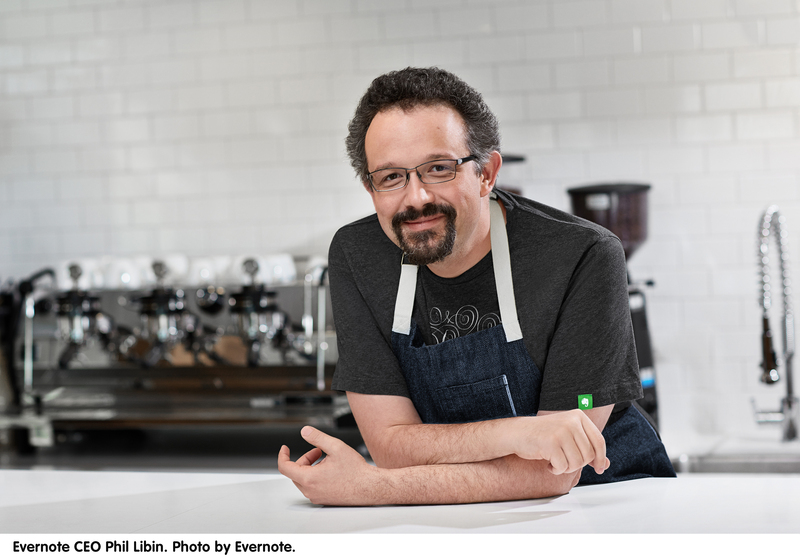 A few weeks ago the Swiss Newspaper Tagesanzeiger published a fascinating interview with Evernote CEO Phil Libin in which he talked about the future of the computer and how we will deal with it. Since a lot of aspects are directly related to what we do at dizmo, the article lead to an exciting discussion with our CEO and CTO Matthias Aebi which we would like to share with you. According to Libin we haven’t overcome the, what he calls, old desktop-centred paradigm yet: we are writing in Word, storing files in Dropbox and talking about it on Slack. But this paradigm, says Libin, is on its way out. So Evernote’s long-term hypothesis targets a unified space and experience where they’re focusing on combining authoring, understanding and communicating in one place. What are your thoughts on this? I fully share Libin’s view. We are still using computers with applications, files, and folders instead of just using digital things on digitally enabled devices in a ubiquitous way. We are now sharing files, data and ideas through separate cloud services and this greatly enhances our capabilities, but this doesn’t change much the level of abstraction we use and even increases complexity. If digital things, like notes, text documents, images and videos can be just made into items we can freely and directly interact with on any traditional portable and fixed devices, but also on digitally enabled tables, mirrors, doors, walls, windows and furniture, then there are no boundaries anymore between tools and content. They are just items that are used together to create and communicate, in a very natural way. Only then we would take full advantage of the dematerialization of computers as main, local and personal computing and storage devices. This is exactly what dizmo’s user interface software enables. And dizmo takes it even one step further, allowing digital things to connect to each other, exchanging data, and has the integrated capability to allow merging content coming from multiple users. Libin goes beyond the obsolescence of files; this has been replaced by digital distribution, but is still largely encapsulated in the concept of apps. In his view, apps only make sense if you have one device. He predicts that apps are going to be replaced by “experiences”. Our brain will not perceive switching devices as such anymore; we’ll simply sign up for a service like Evernote or Netflix and will then have these services always around us, without the need of starting a specific app on a specific device. Do you agree with his vision? And where do you see dizmo in all of this? As Libin states, with the change from personal computers to mobile devices the concept of files has been pushed away and has mostly disappeared. However it is now apps that present these files still in a rather limited way. There is no reason why you could not have all your content, for example notes, in one stack if you like, but easily spread them out, sort and compare them and finally regroup and share them as appropriate. I think this is why in many offices you still find walls plastered with sticky notes, which people use to get and keep an overview and rearrange them as required. With multiple sources, types of data and target displays, you would also want to get the possibility to zoom things in and out, as you do on Google Maps for example. Hence, the “space” in which you move needs to be virtually infinite, zoom-able and give you the possibility to easily and intuitively add, remove and move “things” around. This is what dizmo does. And obviously it doesn’t stop there: by pushing digital items onto a shared object (called “pad”), directly linked to one or more additional displays, it makes those items available to multiple users on multiple devices in an immediate, direct and intuitive way. All this brings us to another point highlighted by Libin: if the concept of apps is fading away this is also a big change from a design perspective, if a single session spans across multiple devices, and the software designer has to take into account the movement of the human body. What do you think? Once you approach things from a different angle, thinking and designing in terms of «digital gizmos», or dizmos, offering content or interaction capabilities with physical objects to the user instead of concentrating on files, applications or apps, we think that this challenge virtually disappears. The developer can focus on optimizing the interaction between a specific item and the user as well as other items and let the environment take care of the rest. We explicitly decided to leapfrog existing products instead of creating something marginally enhanced over existing concepts. Doing so, dizmo is capable to provide the type of user interfaces seen in science-fiction movies and futuristic «home of the future» videos already today. Talking about “time”, when the journalist mentioned theories, which imply that access to services will soon become as ubiquitous as today’s paper, Libin agreed but claimed this to be still 20 to 30 years away. Do you agree? I certainly agree that a full implementation of this vision will take decades. However, the technologies to enable it are available today and the recent past has proven that the speed of deployment and adoption of new disruptive products has drastically accelerated. 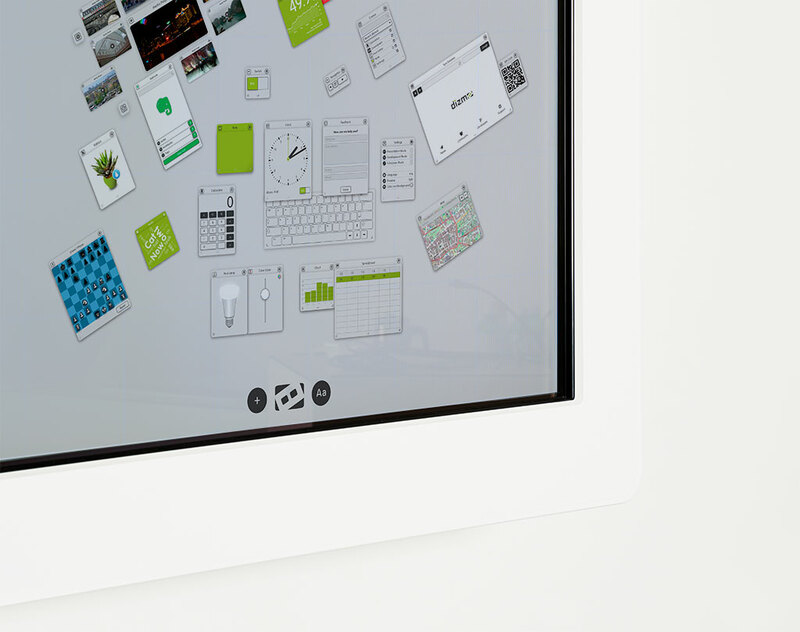 Evernote is a good example of it and many others exist. If products contribute to simplify life and provide an enhanced user experience, time-to-adoption can be faster than we think. This is the space in which we play at dizmo: making the future happening faster and many of Libin’s predictions a reality today.